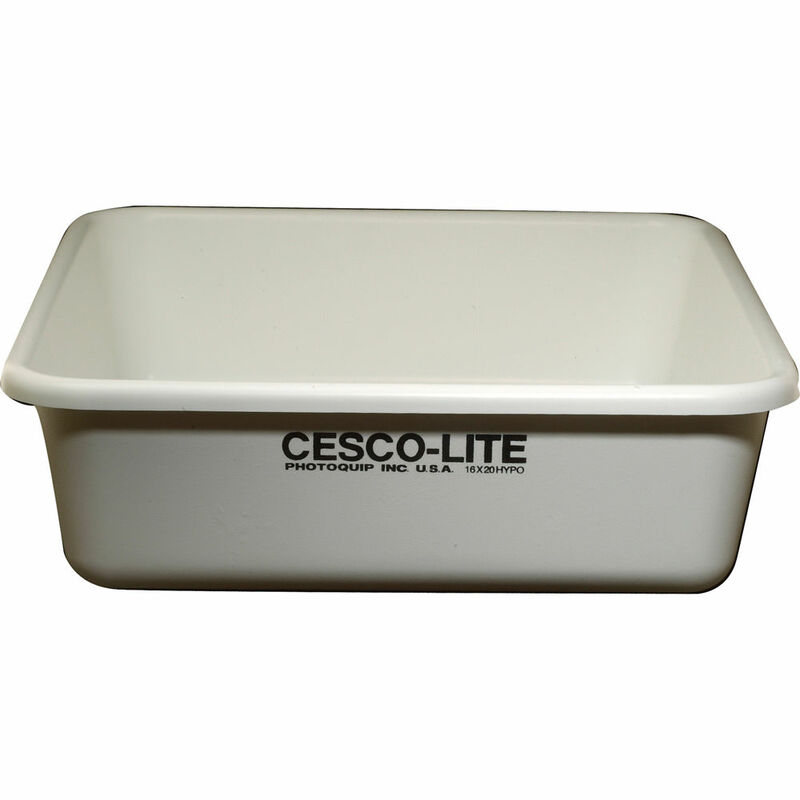 16 x 20" 20 x 24"
The Deep Hypo Developing Tray from Cescolite is a high-impact, scratch-resistant plastic tray that holds fiber- and resin-coated prints up to 16 x 20" in size. The tray has a deeper bottom than a usual tray, so it can accommodate a number of prints while they're in the hypo bath. A pouring lip in one of the corners of the tray makes it easy to dispose of chemicals. Box Dimensions (LxWxH) 25.0 x 20.8 x 6.5"